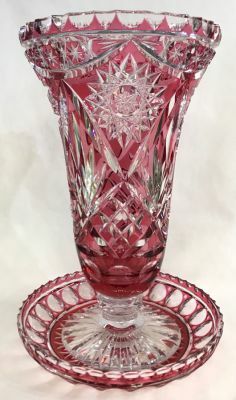 Vintage cranberry to clear cut crystal vase and stand. Unmarked, likely from Germany or Czechoslovakia. The vase is 14 1/2” high by 8 1/2” diameter. The stand is 10 1/4” by 1 3/4”high.